Separate laundry room. According to the National Association of Home Builders on January 26th, the No. 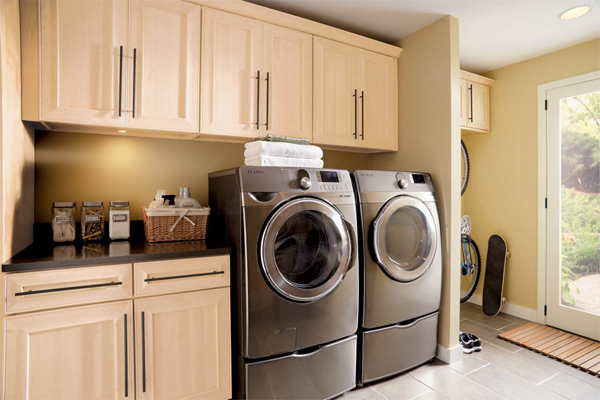 1 feature millennials demand is a separate laundry room. Many first-time Long Island NY home buyers said they would pass on houses that did not have this room. Several storage areas. Another must-have is plenty of storage, including a walk-in pantry and garage storage. This could give millennials more room to hold and organize their belongings after spending time renting in apartments or living with their parents. Energy-efficient technology and equipment. A separate report back in October 2014 by the National Association of Realtors found millennials are also demanding technology that is sustainable or energy-efficient. These include LED lighting as well as heating and cooling systems that save energy. Simple and open spaces. While older generations liked the look of crown molding and other details, millennial Long Island NY home buyers are not so much interested in these design elements, according to NAR. Instead, they prefer open spaces in houses to spread out. Overall, millennials will look for homes that fit in their budgets, which could mean smaller houses, according to NAHB. Although millennials will likely seek out less pricier homes, they are less likely to favor houses made with inexpensive materials. Get more information about how first time Long Island NY home buyers, whether millennials or not, can get started with the home buying process in our section on Long Island NY Home Buying Tips to your right under Long Island NY Real Estate Categories. We post daily tips and news for Long Island NY home buyers at Twitter, and also on our Facebook Page. We'd love you to check us out there too. Long Island NY Home Sales Numbers: Victim of Winter? Long Island NY Mortgage Mistakes: Will Lenders Ever Learn? Long Island NY Housing Market: Will 3% Down Help? Can Starbucks Affect Long Island NY Home Values?